Joan, Barbara and P. Leon Thomas Jr.
Joan Thomas by Side Porch and alley at DancyT. Notice the lattice wood exterior wall of the back/side porch. This space has long since been internalized and serves as a utility room within the house itself now. 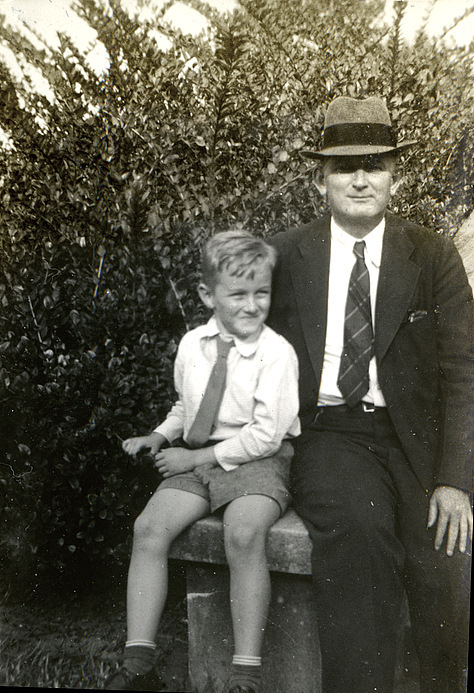 About 1928. Please use your back button to return to this index. Percy Leon Thomas, Jr. with his father, Percy Leon Thomas, Sr. visiting sisters Joan and Barbara in Tallahassee, Florida. 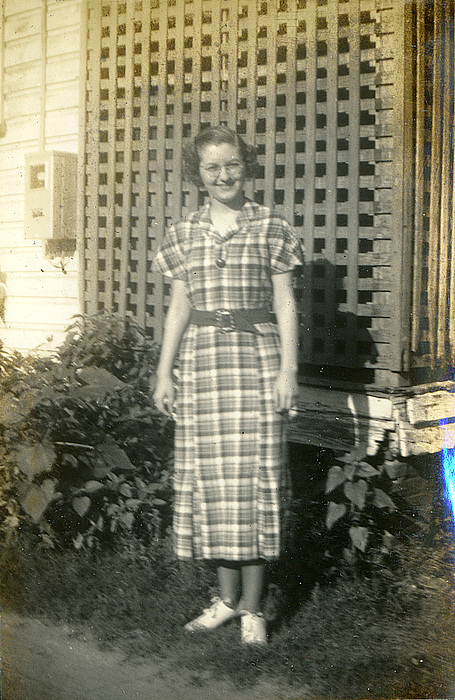 About 1939. Please use your back button to return to this index. 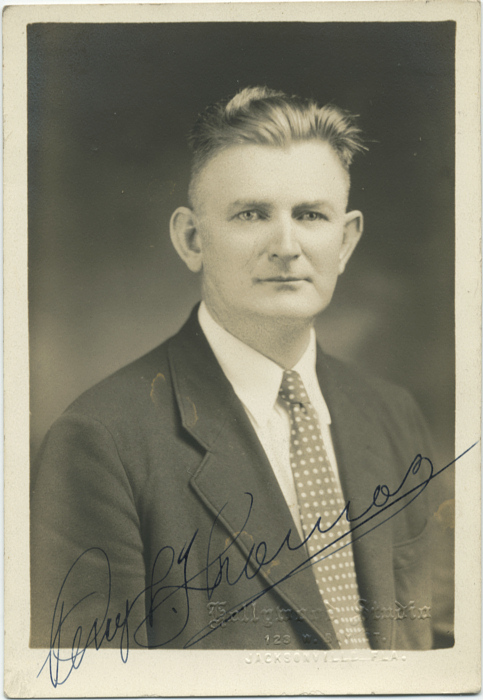 Official and signed photograph of Percy Leon Thomas, Sr. Would have been used professionally in his various community work etc. Please use your back button to return to this index. 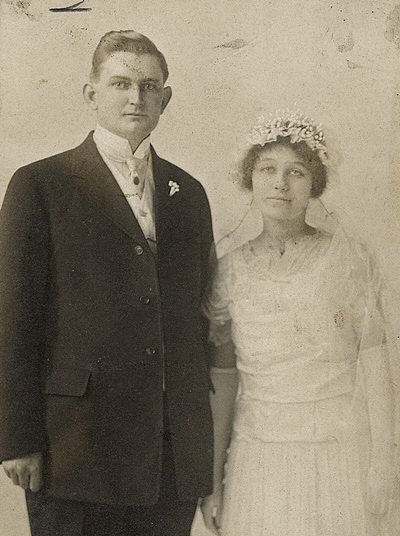 Wedding photo of Stella DeSha and Percy Leon Thomas in 1914. They were married in the Waldo Baptist Church. Newspaper account of the wedding is here. Please use your back button to return to this index.